The 2017 CFMOTO Canada Dealer Conference was held at the Bob Rumball Camp of the Deaf near Parry Sound, Ontario. 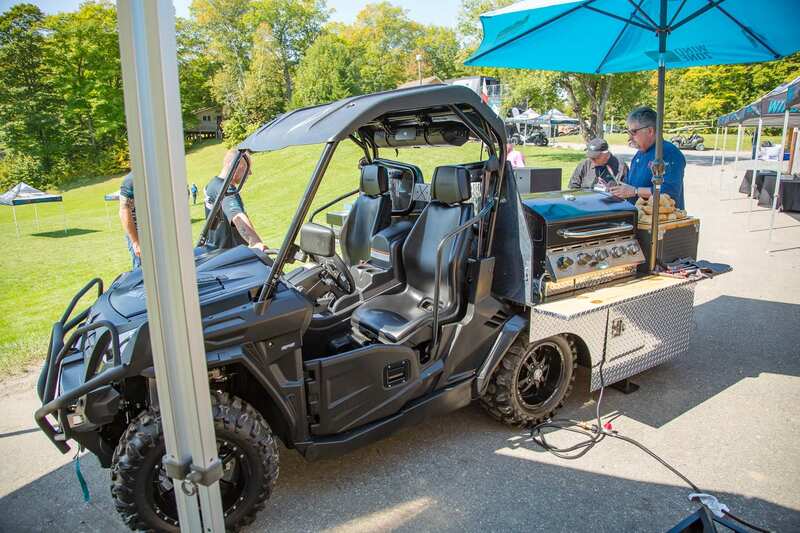 Over 50 dealerships were represented from across Canada along with a number of key partners including Lucas Oil, Replay XD, Soucy, Canadian ATV Safety Institute (CASI), TCFIF, Park2Park, Kinisi, OTSFF and Nanotech Environmental. Several media partners were also in attendance including Raven Media, ATV World and Dirt Trax. Over 150 attendees attended the 4 day event that ran Monday to Thursday mid-September. Over the 4 day period several Special Edition models were unveiled and added to the 2018 line-up. The Special Editions were designed based on real users’ feedback on needs specific to the way they ride and where they ride. Three special edition hunting units were unveiled including a tribute to one of the early CFMOTO models dubbed the Moose. 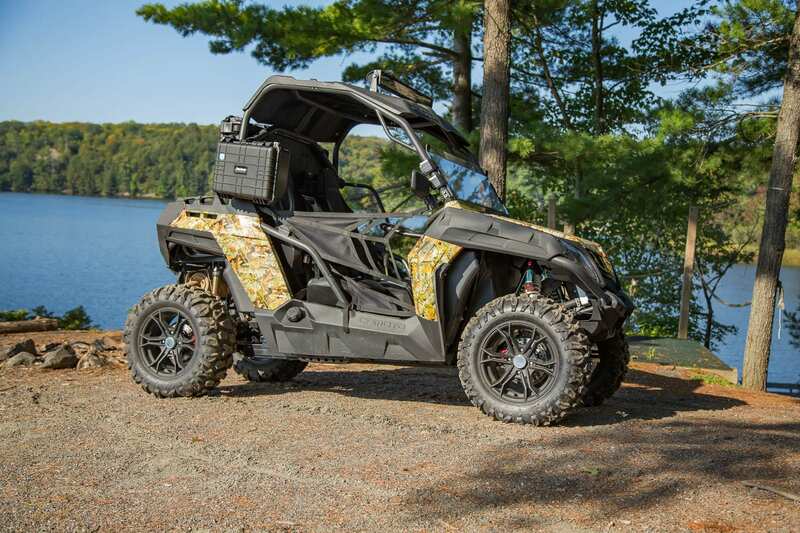 This anniversary addition is featured on the CForce ATV lineup. The two other hunting editions are the ZFORCE and UFORCE models that can be purchased with Morning Dew water-dipped epoxy camo only available in Canada or winter camouflage depending on your needs. Next up for the special editions is the new ZFORCE Super Sport! You will be able to order the SS editions with either as an 800 or as the new 1000. The SS model comes with front and rear bumper, rock sliders, spare tire and mount, light bar and more! The new CEO has a vision and passion for CMI (Canadian Motor Imports Inc) and CFMOTO Canada that is truly unmatched. Mr. River’s goal is to work with the Dealers as partners in a system that will fulfill the passion, the purpose, the reasons people ride, the why people ride, how people ride, where they ride. Mr. River’s joined the CMI team last November and quickly discovered that they had an emerging little brand that had withstood all of the challenges of the Chinese stigma. He saw the opportunity for the company to compete and to become more and more important to their dealers by focusing on the dealers needs and success. 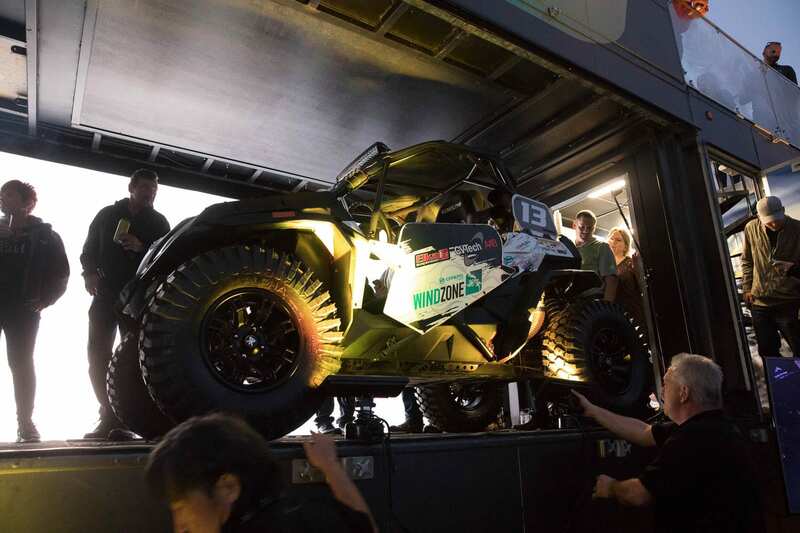 Mr. River’s push to drive camaraderie and passion for the CFMOTO and Wind Zone brands was very evident by the structure and program he and his team put together at this years Dealer Conference. Monday was the arrival day and the event was kicked off with Meet & Greet Hors D’oeuvres at the Ontario Camp of the Deaf. This gave staff and key partners a chance to meet dealers and chat with them about the future. Carl Patoine and his wife (CMI co-owners) Helene addressed the group with a proper welcome speech and announced Wind Zone and CFMOTO Canada’s new ambassador, musician Larry Berrio. 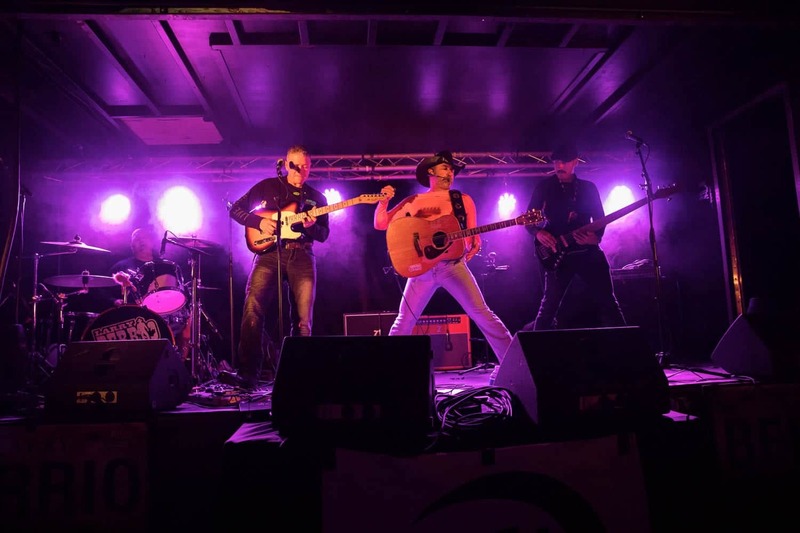 Larry Berrio is a country rock musician from Sudbury, Ontario who has a true passion for motorpsorts. Larry has been the ambassador for Ontario Tourism for a number of years and will now be promoting CFMOTO in all his tourism related videos and articles. CFMOTO and Wind Zone dealers are also able to book Larry and the recently unveiled Wind Zone trailer for upcoming shows and events at their dealerships or any location of their choice. Larry will also be hitting the road next summer on a cross-Canada tour (dates TBD). Wind Zone is built around the idea of an exciting life style that is filled with amazing and memorable moments. The 2017 CFMOTO and Wind Zone Dealer Conference was exactly that. Monday started off with an evening Meet & Greet where new dealers, long time dealers, staff and partners were able to interact, eat food and enjoy the beauty of the Bob Rumball Camp of the Deaf. The Camp is situated on hundred of acres of private land that includes a very private lake. Tuesday morning saw presentation and the introduction of the Wind Zone concept. The CEO Mark Rivers pushed the new concept as extremely vital to the success of the CFMOTO Brand. He explained that the business model of the past is broken and today’s opportunities for more riding experiences is extremely vast. 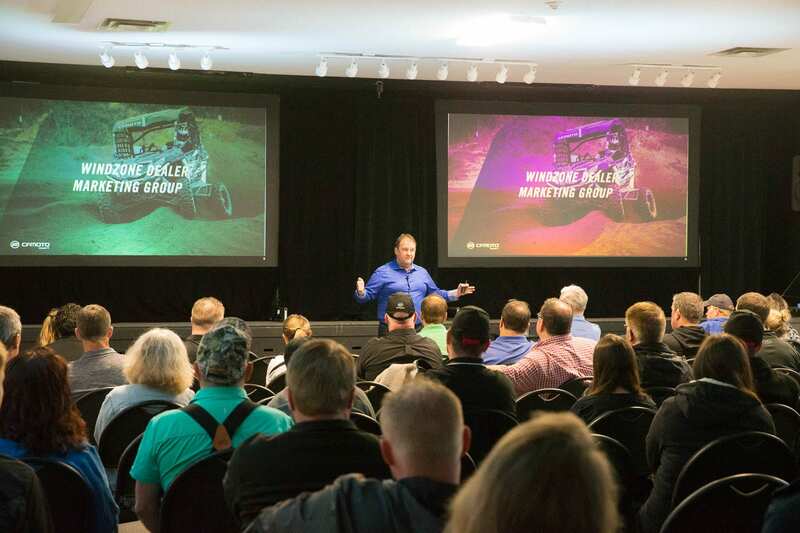 Those in attendance were instilled with a deep understanding of the Wind Zone business case and Mr. River’s stressed how it will lead to the most profitable dealerships in the powersports industry. During the lunch break the final Special Edition unit was unveiled. Along with requesting Larry Berrio and the Wind Zone trailer dealers will also be able to bring in the brand-new BBQ Collector’s Edition UForce! Just like its name suggests this Special Edition comes with a BBQ for all your meal time needs. However, as an added bonus it also boasts a full-sized smoker, hot and cold water, cooler and umbrella to keep the hot sun off your favourite BBQ Pit Master! The BBQ Collector’s Edition is currently following the Wind Zone trailer to all of the dealer events across Canada and has been a huge hit with staff and customers alike. After everyone was fed the Wind Zone Adventure Tour began. The attendees were split into three large groups, handed the keys to CFMOTO ZForces and UForces and headed out on the tour. 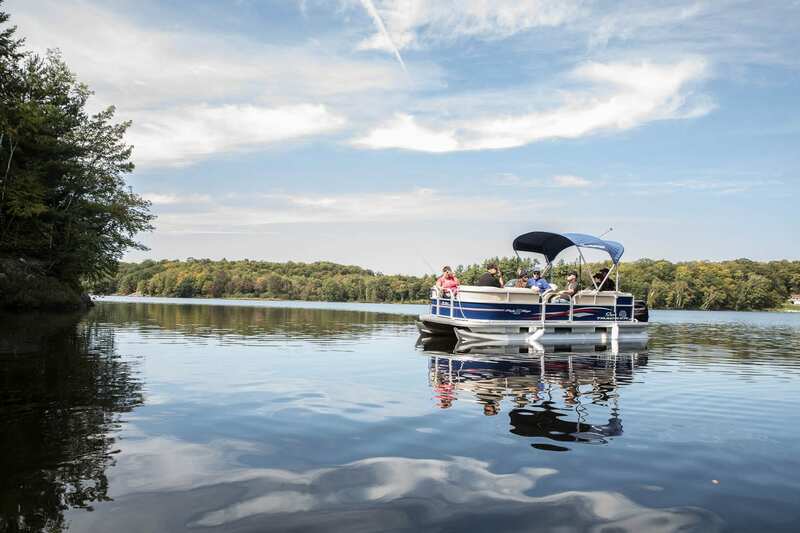 With three main stops along the breathtaking trail that paid homage to the Muskoka area and the Canadian Shield the attendees were in for a treat. At the Peninsula stop attendees were greeted with their first sight of the Hunting Special Editions and had the opportunity to ask questions and take photos. The next stop dubbed the Lookout gave everyone the chance to mingle, learn about one of CFMOTO’s key partners, Replay XD and get a closer look at the new 1000 ZForce. The final stop had two parts. 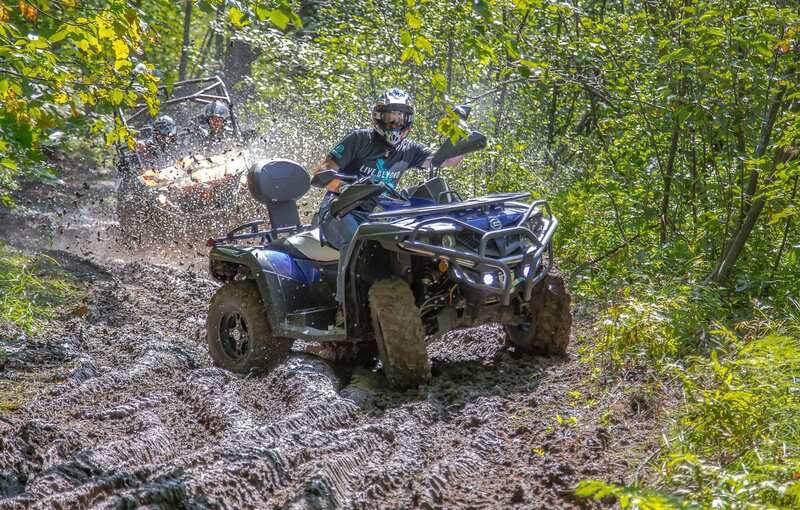 The first was a demonstration by Canadian ATV Safety Institute (CASI) qualified safety instructor Davie Millier from Canada Rides. Mr.Millier discussed the importance of safe riding and the best steps to take to ensure you get to keep riding injury free. The second half was a walk-around demonstration by Kevin Cullen and Yves Gagne on how to showcase a unit to potential clients. After the Wind Zone Adventure Tour attendees were treated to an amazing culinary experience by the famous Chef D. During the day Chef D and his team created an Earth Oven: an earth oven is a pit in the ground used to trap heat and bake, smoke, or steam food. All aspects of the meal were cooked with this method in some way. 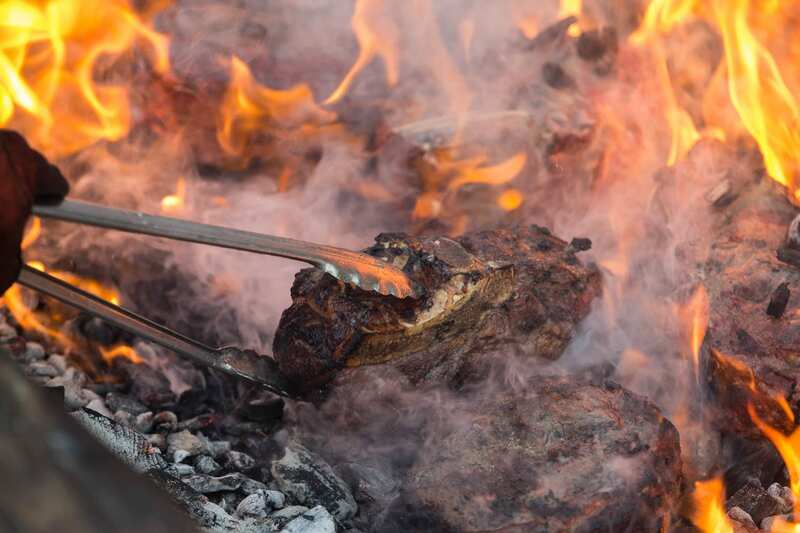 The steaks were first smoked for 2 hours and then finished directly on the bed of coals in the Earth Oven. The lamb chops, beer-can chickens and bacon wrapped chicken breasts were also smoked and finished on make-shift grills made from stumps of wood. The corn was roasted in the fire and even the vegetables had cooked from the heat of the coals. The only part of this cave-man era feast not done on or in the Earth Oven was the pig on the spit which was cooked nearby. After a delicious feast the attendees were entertained by the musical talents of Larry Berrio and his band from the Wind Zone trailer itself. With a great mix of his own original material and covers of everyone’s favorite songs the night rocked away much toe everyone’s delight. Wednesday morning was much like Tuesday with more presentations including the introduction of the Just Ride product line extensions. 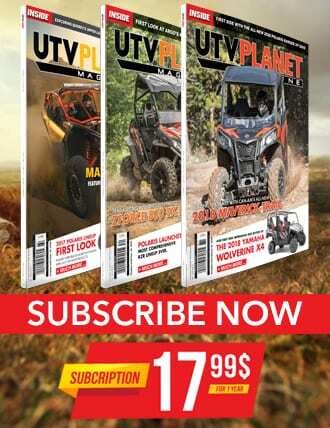 As part of the Wind Zone business model a new opportunity for customers to purchase ride packages will be offered at CFMOTO Dealerships across the country. This will give people who don’t have the storage space to purchase their own units, those who only ride a few times a year (like hunting trips) and those who don’t want to commit to purchasing one for any other reason. This is a great way to keep riding with very little effort. The rest of the day was spent enjoying nature, chatting with partners who had set up displays outside, paddle boarding with P.I.N Up Boarding and the opportunity to go on a fishing expedition with Canadian Angler Hall of Fame Inductee Patrick Campeau. Wednesdays dinner was an ode to the waters and featured Earth Oven cooked salmon, fresh oysters and beautiful fresh salads. Thursday was an easy day of enjoying the outdoors with everyone having the opportunity to revisit the outdoor experiences from Wednesday afternoon or just relax by the water’s edge before heading home. After four days of the best summer weather to hit the Parry Sound area, mouth-watering food and inspiring presentations attendees were all in agreement; this was definitely a Dealer Conference filled with Wind Zone moments.